We've been using this product for years. We're very happy with the quality of the product and the level of service we've been getting from ID Superstore. The stiff needs some work. 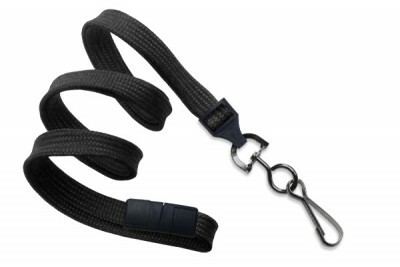 The breakaway clasp is a safety requirement for our facility. We've tested the breakaway feature of this lanyard thoroughly before we gave these out to our employees. They work great. This lanyard is made of high quality materials. You will never go wrong.